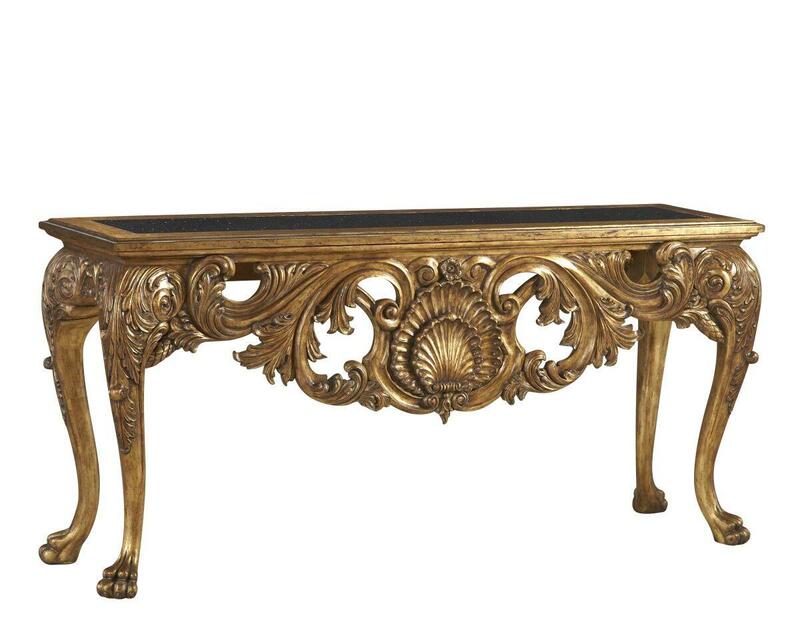 Description: Golden console table or hall table. 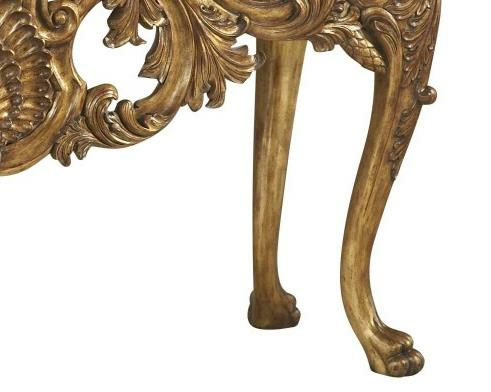 Fully carved with swooping legs leading down to small paw feet. 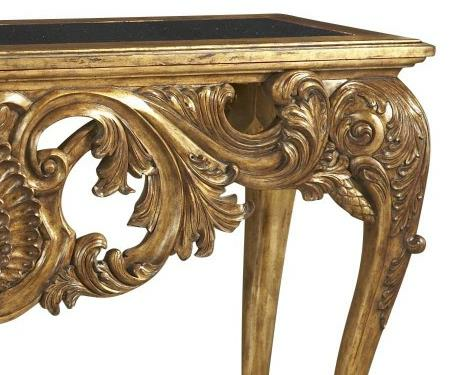 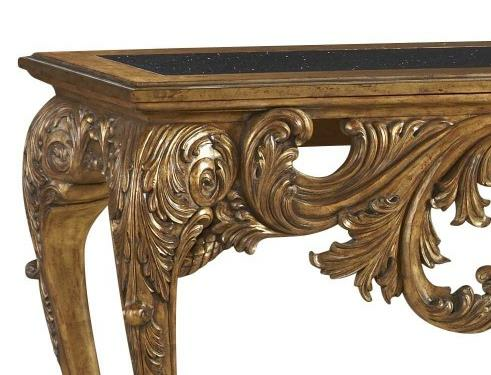 The regal console has a dark stone top which really pops next to all the gold. 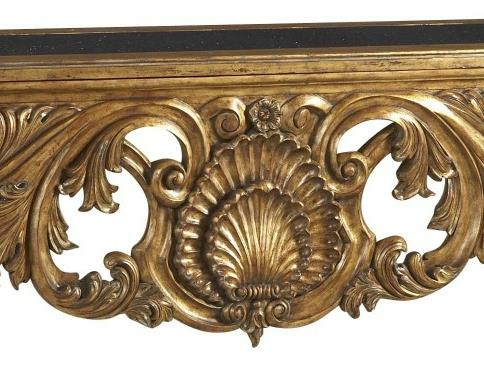 This would fit well in any elegant home looking to feel any empty space on a wall or under a mirror or wall art.